Conservatory Roof Vents | | Standard All Aluminium Conservatory Roof Vent (Bar-to-Bar) for 24/25mm thickness. Standard All Aluminium Conservatory Roof Vent (Bar-to-Bar) for 24/25mm thickness. Standard:Minimum drop of 500mm and the width and drop must not exceed 1500mm. 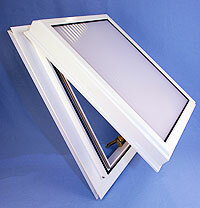 The vent should be ordered at the same width as the glazing panel above and below it. 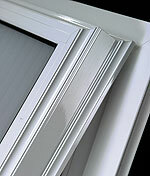 We can send you information on calculating the glass sizes. 4. Evolution 3 Climate control. Digital display with rain sensor and external temperature sensor for automatic operation . Optional remote control. Non-standard sizes are also available. Please contact the office for prices. I would recommend your affordable products (Conservatory Roof Vents | | Standard All Aluminium Conservatory Roof Vent (Bar-to-Bar) for 24/25mm thickness.) to anyone else considering this product, as it has been superb. Omega Build Shop | Conservatory Roof Vents | | Standard All Aluminium Conservatory Roof Vent (Bar-to-Bar) for 24/25mm thickness.. You are viewing Conservatory Roof Vents | | Standard All Aluminium Conservatory Roof Vent (Bar-to-Bar) for 24/25mm thickness., buy online today!